I was reading about a reporter’s visit to Chernobyl a few weeks ago. It’s fascinating for many reasons, especially given the fact that one probably wouldn’t have the opportunity to experience it. I felt the same way about karuta after having seen Chihayafuru. It’s a sport played in the land of the Rising Sun that I figured I would never have the pleasure of playing or spectating. That is, until this past week. Braving the snow and freezing temperatures, a few dozen people gathered at the JICC on Wednesday for a karuta demonstration. I sat in the front row and toyed with my shiny new karuta cards when it caught Ms. Stone’s attention. She became more intrigued at my getup as I was wearing a medical mask. I sighed heavily inside, like all the other times where no one recognized my Arata cosplay at conventions. Her voice was fading in and out, but a sudden tilt of her head coupled with a twinkle in her eye ignited a glimmer of hope in me. She continued to nod her head and at that moment, my heart probably skipped a beat. She got it! Ms. Stone heads the DC Karuta Club. Yes, there is such a thing. She began with a lecture about the origins of karuta. It was highly informative but I was getting impatient staring at the tatami mats behind her Powerpoint presentation. Thankfully, I didn’t have to wait long. Entering on stage was Kyoko-san and Nanami, both attired in hakamas. It’s as if Chihayafuru magically materialized before me! I had to pull my mask down to intake more oxygen. Sugoi ne?! The only complaint I have feels unfair. Ms. Stone aims to educate the audience on karuta so her interruptions are only natural. It did interfere with my enjoyment of the match given that I am familiar with the sport. 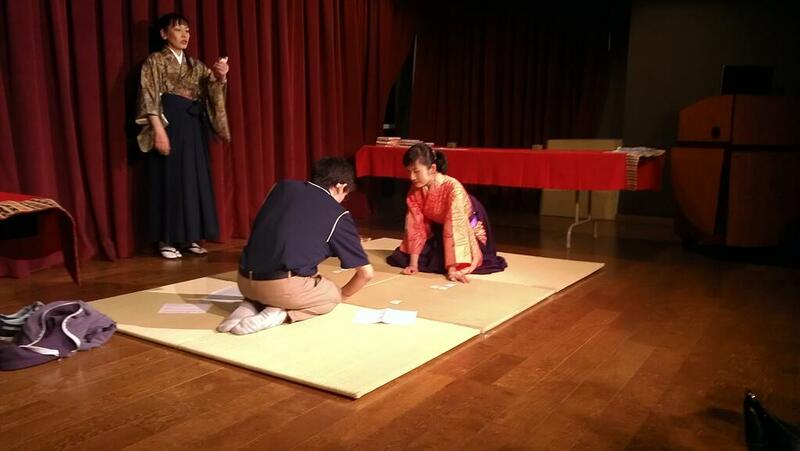 After the lovely and amazing demonstration where I witnessed karuta in person (yeah, I am still excited), Ms. Stone insisted on dividing the audience into two groups, where those who could read Hiragana would play kyogi karuta, and those who couldn’t moved outside for Obosan Mekuri. The latter is a karuta variation that requires pure luck. Fortunately for me, luck is just one of my many skills. Round one included three groups where the winner advanced into the championship. Needlessly to say, I trumped two others to take first place ^_^ The best part was the prize, as shown on the left. This would be the end of the story except the reader can see that more words follow. Anohana sold out before I got to the theater, so my Saturday began on a sour note. Mere hours later, I got an email that would not only turn around my day but bring more delight than I ever thought possible. 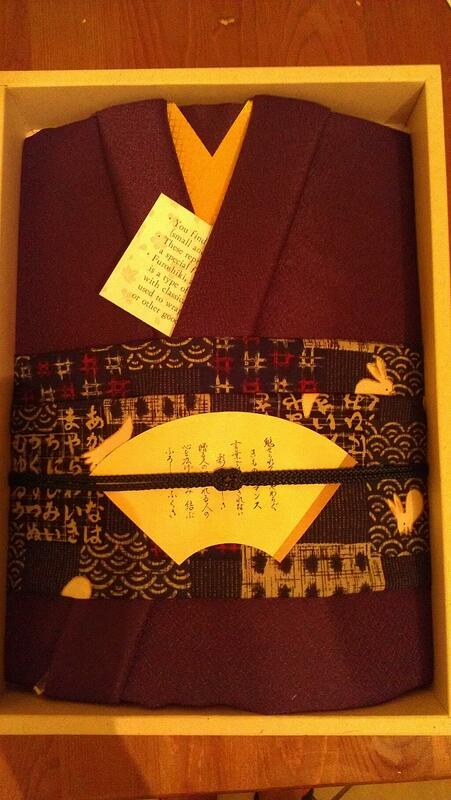 Kyoko-san wrote hoping that I could attend the New Year’s celebration hosted by the JCAW on Sunday where she and Ms. Stone would have another karuta demonstration. An invitation one cannot refuse. I want to express my gratitude towards Ms. Stone and Kyoko-san, as well as Nanami and Ms. Stone’s son (the reader!) for giving me the opportunity to experience karuta first hand. It’s a dream come true ever since Chihayafuru entered my life. Speaking of which, at the conclusion of Wednesday night, Ms. Stone mentioned that she had a dream. I am going to try to make her dream come true, just like she did for mine. But we need your help. Let’s spread our love of karuta!